The Jio Company first anniversary in this month and Reliance Chairman Mukesh Ambani congratulated by Jio employees will give the telecom operator, which has 130 million consumers on its network. Intex Mobile Technology chief and director Nidhi Markanday said Jio is the world’s largest end-to-end IP network and Intex’s pan-India mobile distribution network will together be a delight for users. He announced all new Intex 4G Smartphone users using a Jio connection can enjoy extra 5GB 4G data per recharge, with limited to a maximum of 5 recharges and total benefits of 25 GB extra 4G data. Users will have to recharge with Reliance Jio rupees 309 plan or above. 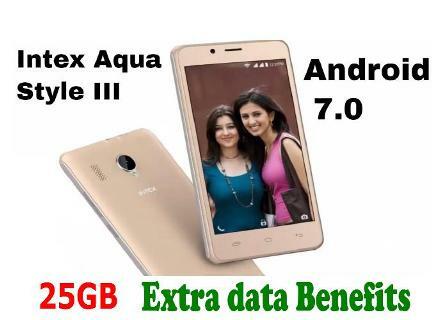 Intex Mobile Company recently launched their new model Smartphone Aqua Style III at rupees 4,299. The Smartphone has the fastest 4G download speeds in the country. It has runs Android 7.0 Nougat operating system and it is powered by 1.3GHz quad-core Spreadtrum SC9832A processor with Mali 400 GPU. In this time, Chinese manufacturer Oppo also partnered with Reliance Jio – which has absolutely free fastest 4G extra data up to 7 or 10GB on every recharge. 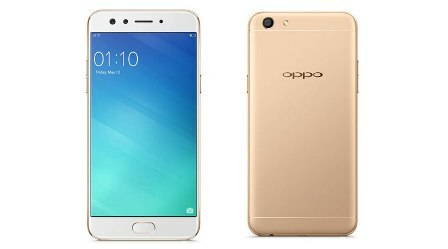 As per the new offer, buyers of Oppo’s F3, F3 Plus, and F1 Plus smartphone models can get up to 60GB extra data benefits but who purchase Oppo F1s, A57, A37, and A33 models user can get total 42GB of extra data up to 7GB on every recharge.